Here is a behind-the-scenes video from my August 23rd show at the Dairy Center for the Performing Arts in Boulder Colorado. 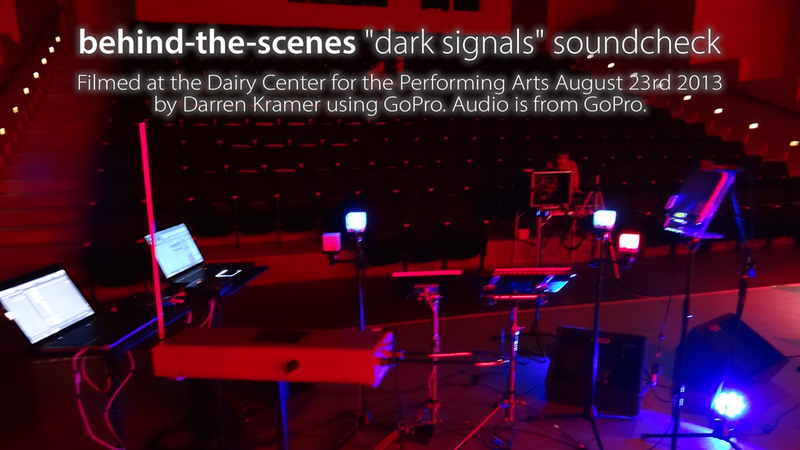 The video was shot at my sound check by fellow performer and Electric Trombone player Darren Kramer using GoPro. The audio is from GoPro camera. At this show I’m using Abeton Live to do for live sequenced playback. For live play, For this song called “Dark Signals” (from my second album I HEAR YOUR SIGNALS) I’m using a my Remote SL MKII Keyboard along with Maschine (custom template in made with Control Editor) to play instruments in Live racks. As you'll see in the video I'm using pressure from the pads to modulate this synths. controller and pump MIDI into synths hosted in Ableton Live. 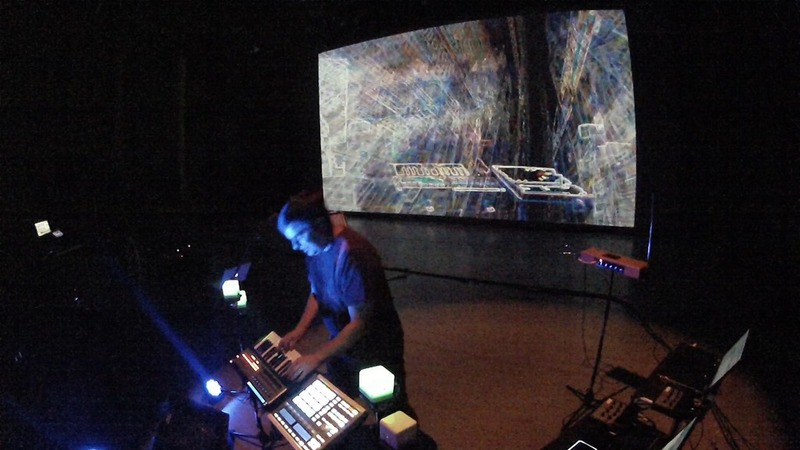 The visuals are based on live camera input processed in Resolume. 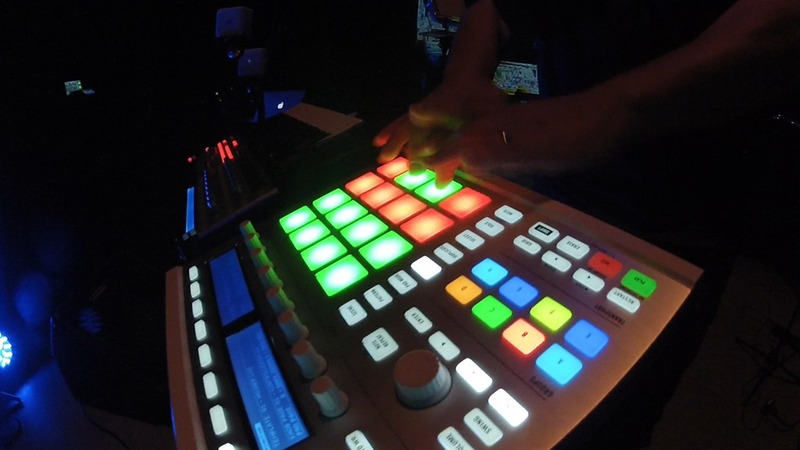 The Resolume system receives controller and automation from the Ableton rig via MIDI. I’m using the house projector to display my visuals on a screen that’s the width the of the stage! It’s a little hard to tell from this video because audio is from GoPro, but the sound at this show was amazing thanks to Gannon Kashiwa who owns and operates GK:SOUND at the TARDIS in Denver. I’m working on a 3 camera edit from footage from the actually show performance which will have audio from the board – so stay tuned.